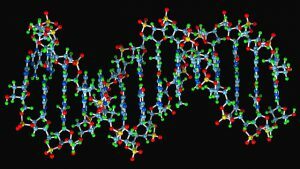 21 January 2019 An interview with Human Genome Project pioneer Craig Venter. Guardian TV. I travelled to Valencia, Spain to interview genome giant Craig Venter. 21 January 2019 The Evolution of Desire, IAI, Hay Festival. I was invited to debate the evolution of desire at the IAI Hay Festival with two of the most original thinkers I have ever met, Lou Marinoff and Nayef Al-Rodhan. 21 January 2019 I contributed to The Day the Ocean’s Boiled on Channel 4’s Equinox. Our subject was rapid climate change 55 million years ago which may serve as an analogue of our own greenhouse future. It caused quite a stir at the time, leading to questions in the House of Commons!. Ice Ages. Click here to listen again. This one became dangerously contemporary towards the end (at least according to Melvyn). Here’s what he had to say about the program in his blog. The Origin of Life. Click here to listen again. My favourite part of this episode was when Melvyn seemed to feel he had to include a reference to religion (with a rather apologetic ‘Well, you have to say that…’). It was a toss up to see whether it would be my eyebrow’s or Richard Dawkin’s that would hit the ceiling first. No, Melvyn, you don’t have to say that. The Cambrian Explosion. Click here to listen again. Our discussion about some of the most important fossils in the world. The Cambrian fauna of the Selkirk Mountains of British Columbia. Great fun to do. Listen out for Simon Conway-Morris trying to explode the studio sound monitors. I notice that this one has been listed in the Essential 10 of In Our Time episodes. 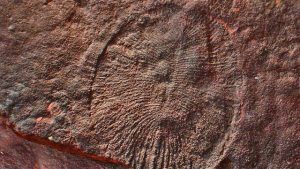 The Ediacaran Biota. Click here to listen again. 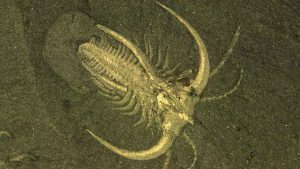 One of my favourite episodes, dealing as it does with one of the most enigmatic of all fossils. To a geologist these are only slightly older then the Burgess Shale fossils (as in, a hundred million years, which may not be everybody’s idea of ‘slightly older’) dating them to about 550 million years old. But they have an body architecture that is quite different to the body plan of the Cambrian fossils and all multi-cellular life thereafter. So, is it ‘Life Jim, but not as we know it?’ A recent paper suggests that it is life, and similar to the way we know it. Which begs the question: was evolution, nature’s ultimate tinkerer, playing around with a different Meccano set that day? Friday August 31 2018. To download my CV click Resume. Why a new website? The web has moved on a long way since my first site was established in 1999. These days it is much easier to add and control new content and I wanted the process to be easier for me to manage from here, Corfield Central, principally so I can add new content more easily. Also, my range of activities has expanded since the days when I solely wrote about science. I now appear fairly frequently on radio (principally on Melvyn Bragg’s Radio 4 program In Our Time but also in a lot of other places) and these activities need their own platform. These days I am doing a LOT more writing across a number of topics. I am the Science Correspondent for the Oxford Times and the Oxford Mail, I am also writing regularly for magazines such as Physics World, Chemistry World and Chemistry and Industry. I am doing a lot of lecturing up and down the country and shortly abroad too. Also, rather to my surprise my cat stories are becoming increasingly popular and they need their own showcase. My first novel Dark Site is out soon under my nom de plume Jack Shipley. I am also involved in the EarthVolt project, a site dedicated to renewable energy. All these disparate themes which somehow comprise my professional life need a home under one roof, so to speak, and this is it. To learn more about my work click The Oxford Times’ profile of me. Hope you enjoy my new site. Tuesday November 8 2016. I am delighted to announce that my new school’s lecture list for 2017 – 2018 is now available. I am already booked for this autumn at Brambletye Scool in Sussex and am very much looking forward to it. The lecture they have chosen is THE CURSE OF MARS AND OTHER SPACE STORIES. In this lecture I examine the reasons for the recent loss of the ExoMars lander any why it is so difficult to get to the Red Planet. From there I discuss the problems of visiting Venus and finally, in the third section of the lecture, I discuss my recent book on the deep-space Voyager probes, NASA Voyager 1&2, the Haynes Workshop Manual. Do get in touch by email to contact@richardcorfield.com if you would like me to come and talk to your school or meeting. 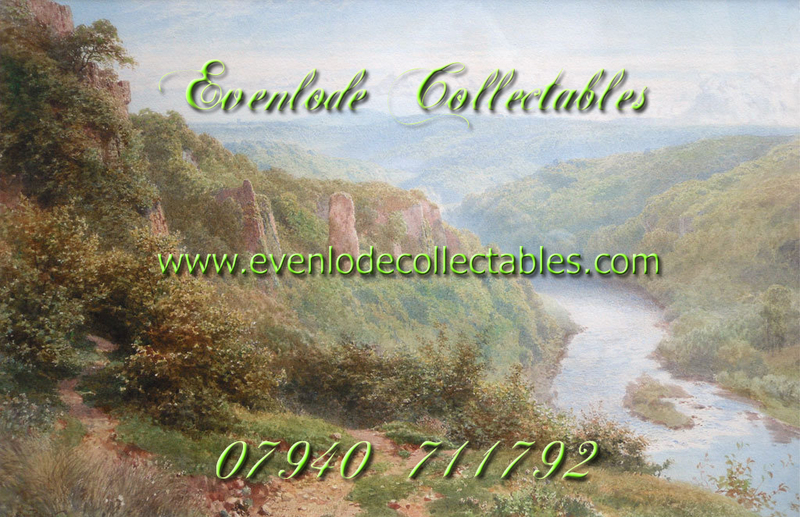 We now have an on-line shop at www.evenlodecollectables.com. 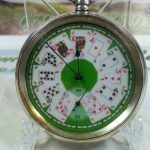 Although my ‘day-job’ is scientist, writer and broadcaster I have a passion for antique pocket watches. They are tactile and beautiful and, quite simply, a joy to touch and hold. 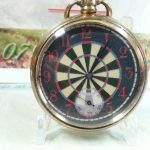 www.evenlodecollectables.com sells classic pocket watches from American Railroad grade watches to First World War Trench watches to 18th Century verge watches. These are rare antiques and tend to be for serious collectors. 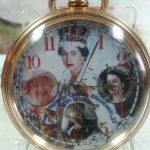 I also have a physical outlet at The Quiet Woman Antique Centre at Southcombe near Chipping Norton, Oxfordshire (http://www.quietwomanantiques.co.uk/). Please browse our online shops or drop in and see our watches – both classic and bespoke dials – at The Quiet Woman. If you want to discuss science drop me a line at contact@richardcorfield.com or if you simply love watches and want to chat about them you can reach me at richcdok@gmail.com . Sorry everyone, I have been away for a long time. This is principally because I have been working on my latest book on the Voyager 1 and 2 spacecraft. 1 April 2019 One hundred and ten years ago this month, the world reverberated to the news that the largest ship in the world had met with destruction on her first ever outing. At 11.40 p.m. on Sunday 14 April 1912, the Royal Mail Steamer Titanic, bound from Southampton to New York, collided with an iceberg and foundered less than three hours later, with the loss of more than two-thirds of the 2224 passengers and crew. The world was stunned, for the superlatives that had followed the launch of the Titanic from the Harland and Wolff shipyard in Belfast had been stupendous, indeed some would say almost say hubris-inducing. that significantly contributed to the difficulties encountered during the various attempts to locate the wreck over the course of the next ninety years. When people ask the question “What sank the Titanic?”, at first glance the answer is obvious: she hit an iceberg. But that simplistic answer masks deeper and more substantive questions: why did the Titanic hit the berg in the first place and why did she sink so quickly? It is a mistake to regard the Titanic as somehow primitive. She was the most modern ship of her day in a world that relied on its steam trade to maintain communications between Europe and America in the same way that today we rely on aviation. The Titanic incorporated the latest technological innovations of the age to help ensure her safety. For example, she was one of the first ships to have sealable watertight bulkheads – transverse partitions that cross the ship at right angles to its long axis – with electrically operated doors that could be closed from the bridge at a moment’s notice. The hull, as was standard for the day, was made of mild steel (steel with a maximum content of 0.35% carbon, 0.7% manganese and 0.5% silicon) and was held together by three million steel and wrought-iron rivets. 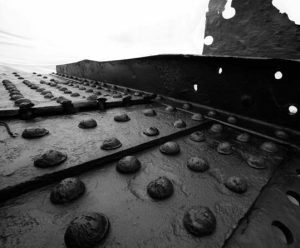 Although steel rivets are stronger than wrought iron, for technical reasons (as we shall see) they could only be used in the middle three-fifths of the ship’s length. She also carried the latest Marconi wireless equipment – the most powerful in use at the time with a 5000 W transmitter that gave a radio range of more than 500 km. On the face of it, the human factors were stacked in the Titanic’s favour too. For her maiden voyage she had the most experienced crew of the entire White Star Line (one of the premier British shipping lines of the day) on board and it in turn was commanded by Capt. Edward J Smith, the commodore of the line. It is also worth noting that the North Atlantic shipping run was very far from being an unknown quantity in the Edwardian era. It was as busy as the air route between Europe and America is today, and the chances of seeing a fellow ship en route were as high as an air traveller seeing a fellow aircraft today. But the simple truth is that against all odds and expectations, including those of the ship’s designers, Lord Pirrie of the Harland and Wolff shipyard and Thomas Andrews of the White Star Line itself, the Titanic sank as completely as a stone, less than three hours after she had hit the iceberg. If she had stayed afloat longer, then rescue ships could have got to her and the tragic loss of life mitigated or averted. This is the real question of the Titanic mystery: how could a 46 000 tonne ship sink so quickly? The answer is to be found within the science of the Titanic’s construction and the events that occurred on that fateful voyage. Details emerge After the sinking of the iconic ship there was no shortage of theories as to why the pride of the White Star Line had foundered. Two inquiries in 1912 led by Senator William Alden Smith in the US and Lord Mersey in the UK both reached remarkably similar conclusions. The Titanic had been travelling too fast, Smith had paid too little heed to iceberg warnings and, of course, there had not been enough lifeboats on board to carry every passenger to safety. Although this last fact is inescapable, it is less well known that the Titanic carried more lifeboats than she was required by law to do. It seems that in 1912, in a way not dissimilar to our own box-ticking, responsibility-avoiding culture today, lack of effective oversight on the part of the authorities caused the consequences of the disaster to be much worse than they might have been. As the inquiries unfolded, other details began to emerge. There had been a reshuffle of officers just before the ship had sailed and the second officer, David Blair, had left the ship – bumped from the roster by the more senior Charles Lightoller. Blair had taken with him the key to the locker that held the binoculars used by the lookouts in the crow’s nest. Also, the more senior of the two radio operators – Jack Philips – had not passed on the fifth and most specific ice warning of the day received from the SS Mesaba. Mesaba gave the precise location (42° to 41°, 25′ N; 49° to 50°, 30′ W) of an area of icebergs that, at the time, approximately 9.40 p.m., was only 50 miles dead ahead of the Titanic. Because the message – “Saw great number large icebergs also field ice. Weather clear.” – was not prefixed with “MSG” (“Masters’ Service Gram”), which would have required a personal acknowledgement from the captain, Philips interpreted it as non-urgent and returned to sending passenger messages to the receiver on shore at Cape Race, Newfoundland, before it went out of range. 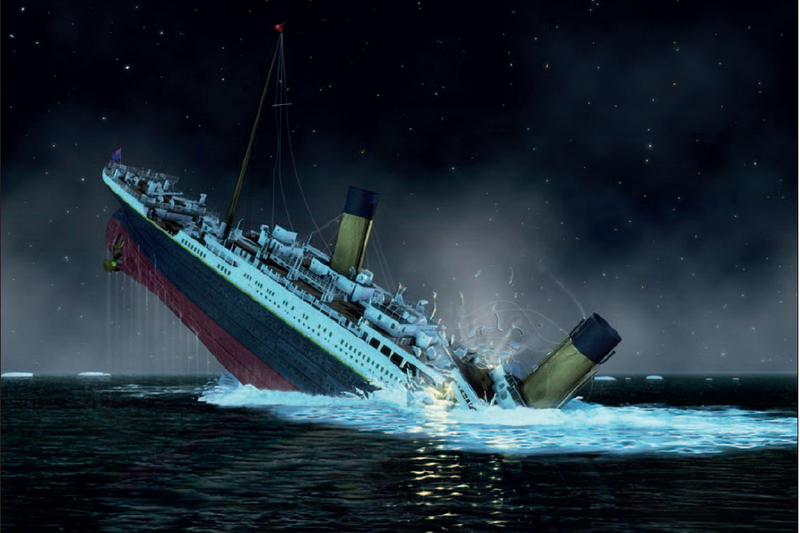 There is one aspect of the Titanic disaster that was known from the time the ship hit the iceberg: if more than four of the 16 watertight compartments into which the interior space of the Titanic was divided were flooded, the ship could not stay afloat. The Titanic’s designer Thomas Andrews was on board and was asked by Capt. Smith to accompany him to assess the damage immediately after the collision. The impact had been on the for’ard starboard side below the water line and once Andrews had discovered the extent of the damage he warned Smith that since more than four compartments had been ruptured (six in fact had been breached) “it was a mathematical certainty that the ship would sink”. This, of course, the Titanic duly did. Yet the detailed science behind the sinking of the Titanic had to wait 90 years to be explored. Her wreck was discovered by the submersible Alvin during a joint French–American expedition in 1985 of which the archaeological oceanographer Robert Ballard was a prominent member. Ballard returned the next year to start analytical work on the wreck and since then there have been many expeditions to the site – mostly, it has to be said, for the purposes of sightseeing, with a handful of scientific expeditions thrown in. 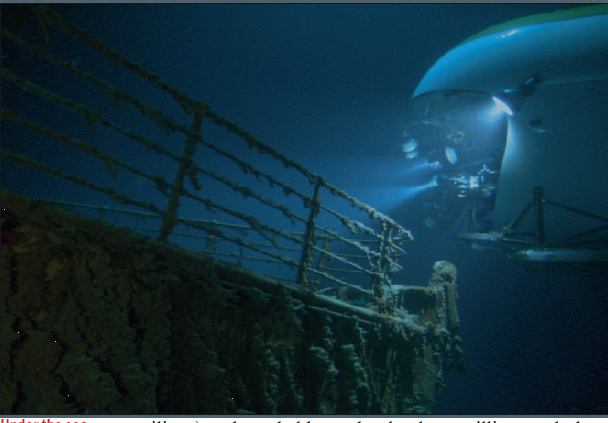 Curiously enough, Ballard had not been driven to develop his new technology (the Argo-Jason system) specifically to find the Titanic’s ancient wreck. As he told the US Academy of Achievement in an interview in 1991, he simply wanted to test his system in the deepest water he could easily get to. “If the Titanic had been in the Indian Ocean, I probably would have never found her,” Ballard said. “But the fact that she was in my backyard, I went, ‘Let’s go find the Titanic.’ ” An early attempt to explain the cause of the Titanic’s rapid sinking was related to physical tests on the steel comprising the ship’s plates. Early tests made by metallurgists in Canada suggested that the steel of her hull plates became brittle at about 32 °C, suggesting that it would have been prone to fracture at the temperatures the ship would have been operating at. This contrasts with modern steels where the ductile–brittle transition temperature is –27 °C. However, more sensitive tests that have since been carried out, which conform more closely to the characteristics of the Titanic’s impact with the iceberg, suggest that the steel of the ship’s plating was adequate to bend with the impact rather than fracture. 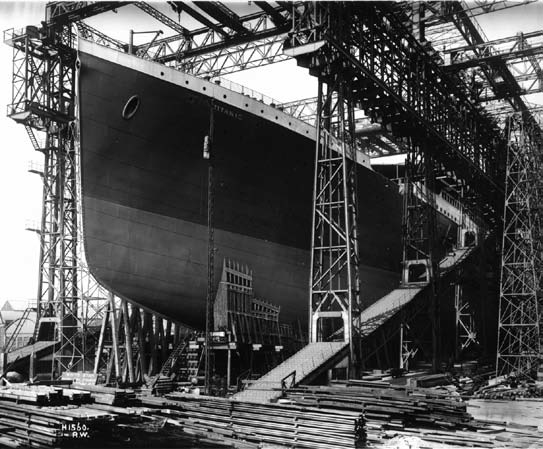 In the mid-2000s two metallurgists, Tim Foecke at the US National Institute of Standards and Technology and Jennifer Hooper McCarty, then at Johns Hopkins University in the US, focused their attention on the composition of the Titanic’s rivets. They combined their metallurgical analysis with a methodical sweep through the records of the Harland and Wolff shipyard in Belfast where the Titanicwas built. Combining physical and historical analysis in this way proved to be a powerful trick. Foecke and McCarty found that the rivets that held the mild-steel plates of the Titanic’s hull together were not of uniform composition or quality and had not been inserted in a uniform fashion. Specifically, Foecke and McCarty found that the rivets at the front and rear fifths of the Titanic were made only of “best” quality iron, not “best-best”, and had been inserted by hand. The reason for this was that, at the time of the Titanic’s construction, the hydraulic presses used to insert the rivets used in the middle three-fifths of the ship could not be operated where the curvature of the hull was too acute (i.e. at bow and stern). But why did Harland and Wolff use “best” quality rivets rather than “best-best?” Foecke and McCarty speculate that it may simply have been a cost-saving exercise. “Best” rivets were cheaper than “best-best” but also had a higher concentration of impurities known as “slag”. This higher concentration of slag meant that the rivets were particularly vulnerable to shearing stresses – precisely the kind of impact they were subjected to that long-ago night in April 1912. Lab tests have shown that the heads of such rivets can pop off under extreme pressure, which on the Titanic would have allowed the steel plates on the hull to come apart, exposing her inner chambers to an onslaught of water. James Cameron, director of the film Titanic, seems clear that it was the rivets that were at fault. If you look at the relevant section of his film, at about 100 minutes in, you will see the bulkheads being split asunder along the line of rivets, which pop like champagne corks into the interior of the vessel. This sequence is worth watching and rewatching because it is spot-on in terms of accuracy. Cameron, incidentally, began a degree in physics at Fullerton College in the US and is well known for his unstinting obsession with accuracy – an accuracy that is apparent in the detail of his Titanic. For example, in the film, just prior to the iceberg impact you will notice that First Officer Murdoch telegraphs to the engine room for the engines to be put into reverse. Of the Titanic’s three engines, the central engine (a Parson’s turbine with a screw mounted directly behind the rudder) could not be reversed and so only slowed to a standstill. The two reciprocating engines driving the port and starboard screws on either side of it could, however, be reversed, and Cameron faithfully records the central propeller as being stationary as the ship starts the dramatic evasive manoeuvre, even as he shows the outboard propellers beginning to reverse. The configuration of the propellers and rudder that Cameron so faithfully renders also bears on the reasons for the ship’s sinking. On the one hand, it took time for the propellers to be stopped and then put into full reverse, plus, as we have seen, the steering propeller was stationary. On the other hand, because the rudder, which steers the ship, was most effective when controlling the laminar flow of water created by the steering propeller, the fact that the steering propeller was not rotating severely diminished the turning ability of the ship. It is one of the many bitter ironies of the Titanic tragedy that the ship might well have avoided the iceberg if Murdoch had not told the engine room to reduce and then reverse thrust. Finally, there is a new twist to the science of why the Titanic foundered. North Atlantic icebergs are calved on the western coast of Greenland, then circulate anticlockwise through the Labrador Sea before drifting into the North Atlantic off the Newfoundland coast. There they meet the Gulf Stream heading north-east on its long journey to bathe the shores of north-western Europe. There are significant temperature and density differences between these two currents and when they are most pronounced – for example when the Gulf Stream is warmer than usual – the icebergs tend to be corralled into an approximately straight line along the axis of the boundary interface. In other words, they make a barrier of ice. Richard Norris of the Scripps Institution of Oceanography in San Diego, California, is leading an expedition of the Integrated Ocean Drilling Program to the area this summer. “The Titanic hit the iceberg right at the intersection of the Labrador Current and the Gulf Stream,” he says. “1912 had an unusually hot summer in the Caribbean and so the Gulf Stream was particularly intense that year. Oceanographically, the upshot of that was that icebergs, sea ice and growlers were concentrated in the very position where the collision happened.” New research raises the possibility that celestial influences conspired to doom the Titanic from even further afield. Astronomers Donald Olson and Russell Doescher from Texas State University–San Marcos this month published their findings about an extraordinary event on 4 January 1912, three months before the disaster. On that day the Sun was aligned with the Moon in a way that enhanced its gravitational pull, causing a higher-than-usual “spring tide”. This is nothing exceptional in itself. More remarkable was that on the same day in 1912 the Moon made its closest approach to the Earth in more than 1400 years – in other words, its tide-raising forces were at a maximum. On top of that, the Earth had reached its closest position to the Sun – the “perihelion” – the day before. At first glance it is hard to see how an unusually high tide might have affected the Titanic more than three months later. The North Atlantic shipping lanes were peppered with icebergs in April, but if the high tide had caused new icebergs to calve in Greenland in January, they would have had to travel unusually fast to get there by then. But the bergs may have come from a source nearer by. When icebergs pass through the Labrador Sea, they often become stuck in shallow waters and it can take several years for them to be dislodged and continue their journey southward. Writing in Sky & Telescope magazine, Olson and Doescher suggest that the high tide in January 1912 could have given many trapped icebergs the buoyancy they needed to lift up away from the ground and continue their journey to the Titanic’s future graveyard. It seems therefore that the climate thousands of miles from where the Titanic sank, as well as the positions of the Sun and Moon astronomical distances away, may have been yet further links in the chain that led to the loss of the greatest ship in the world. So what conclusions can we draw from the events of 14 April 1912, a century after the Titanic sank? First, there can be no doubt that at the very start of the ship’s construction there was a problem with the materials. The steel plates of the time may have been inadequate for the task in waters of those temperatures, and the rivets were of inferior quality. Second, mistakes were made by the crew once the vessel was under way: the absence of binoculars in the crow’s nest; Smith’s decision to maintain a high speed despite the abundance of iceberg warnings; the radio operators’ tardiness in getting crucial information to the officers and their emphasis on passenger messages rather than operational ones; and, of course, the almost cynical lack of lifeboats. Then there are the maths and physics of the collision: six compartments flooded when, if it had only been four, the ship would not have sunk. And finally, there was the complex interplay of two surface-water currents, as well as the extraordinarily high spring tide three months earlier, that concentrated icebergs as if they were tank traps. No one thing sent the Titanic to the bottom of the North Atlantic. Rather, the ship was ensnared by a perfect storm of circumstances that conspired her to doom. Such a chain is familiar to those who study disasters – it is called an “event cascade”. The best planning in the world cannot eliminate every factor that might negatively impact on the design and operation of a complicated machine such as a massive passenger ship. Eventually, and occasionally, enough of these individual factors combine and the “event cascade” becomes long enough and complicated enough that tragedy cannot be averted. Should you happen to find yourself in the Bystander Inn at Wootton when Crystal Palace are playing you will find an affable, genteel men of late middle age propping up the bar with a glass of lager in his hand. It is not the most obvious place to find the person responsible for designing a crucial part of humanity’s most distant planetary probe, yet it is here that Professor John Zarnecki goes to watch his favourite football team. 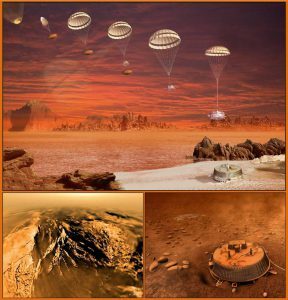 Zarnecki led the team that designed and built the Surface Science Package of the Huygens probe that successfully landed on Titan, Saturn’s largest moon, fourteen years ago. The Huygens probe travelled with the Cassini spacecraft which was in orbit around Saturn, sending back pictures of that enigmatic planet and its moons until it was decommissioned in 2017. But, as a thousand episodes of Star Trek have taught us, there is nothing quite the same as landing on a planet or moon to make it seem special. 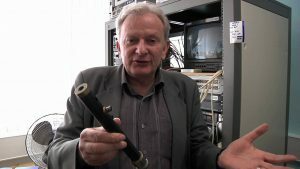 John Zarnecki is Emeritus Professor of Space Science at the Open University. Educated at Highgate School, London and then Queens’ College, Cambridge he tells me that his interest in space science started when his school decided to give the boys an afternoon off to visit Highgate Cemetery where Yuri Gagarin – the first man in space – was visiting the grave of Karl Marx. John’s long experience with rockets and space travel have made him naturally cautious. Hence when he was asked whether he wanted a back up channel for his experiment’s data he said yes. “We were the only one of the six experiments on Huygens that decided to play it safe. So when we lost that one channel most of the other experiments lost half their data.” John pauses reflectively, “I didn’t want to say I told you so but…” his voice tails off with a faint chuckle. John married Oxfordshire resident Kate in 2009 and they bought a house in Wootton because her roots are here. Kate is now retired but spent her career working in the health industry as a nurse, midwife, and latterly health care home inspector. So next time Crystal Palace are playing, stop in at the Bystander and say hello to the Starman of Oxfordshire – and maybe even buy him a pint of lager. Copyright Richard Corfield. All Rights Reserved. 15 February 2019 Excellent article in Forbes Magazine entitled THE GEOLOGY OF JULES VERNE’S JOURNEY TO THE CENTRE OF THE EARTH by geologist David Bressan who works in the eastern Alps. This high up the cold wind blowing round the shoulder of the mountain cut through Bill Holser’s fur-lined jacket like a scalpel even in the height of the Austrian summer. To the south the curtain of snow was still blowing off the summit of Mt Sernio. The snow plume seemed to be a permanent feature, or at least it had been in the three days since the scientific party had arrived. It formed a shimmering veil against the pale azure of the Italian sky. Further to the south the still bluer pool of the Adriatic lay in the crescent arms of Italy and Croatia. The air was crisp, the view spectacular. The mountains of the Carnic Alps towered all around him, a jagged and overlapping sequence that looked like tank-traps left over from the Second World War, isolating him from the rest of the world. This was the best part of being a palaeontologist, the places that you visited, the scenery you saw; in short: the fieldwork. But to appreciate this place properly required imagination. You needed to see it with the four-dimensional eye of the palaeontologist. And that was what he could see in his mind’s eye now. Before it had been thrust into the sky by the Alpine mountain-building episode, he imagined it when it was still a shallow sea close to a shoreline pushing out into the western edge of the transglobal superocean called Palaeo-Tethys – the ‘father’ of the Mesozoic era’s Tethys – and therefore the ‘grandfather’ of the present-day ocean: the Mediterranean. 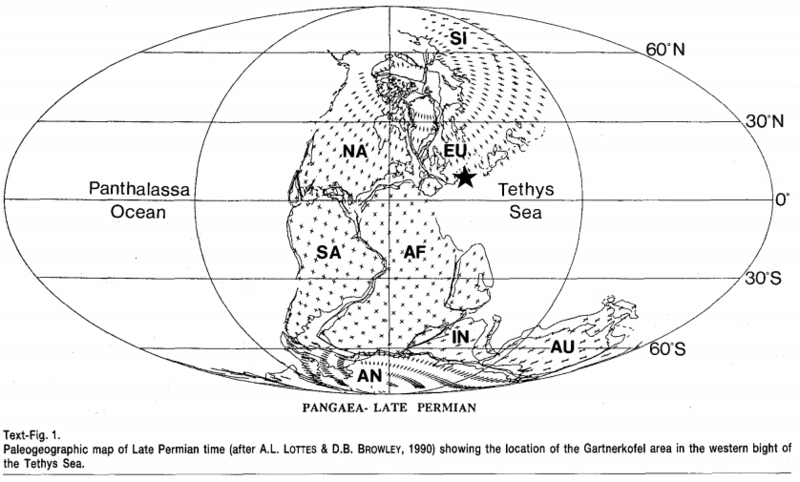 In the days of the Palaeo-Tethys, the continents of the world were not as they are today. 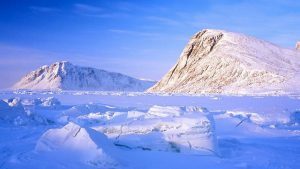 If man had been around then – some 250 million years ago – it would have been possible for him to walk from the Arctic to the Antarctic – a 12,000-mile journey across the supercontinent known as Pangea – the land mass that had been all the world of the late Permian, the last period of the Palaeozoic era. And that was what brought him and the team here today. That deceptively simple question: just what was it that made the Permian the last period of the Palaeozoic? The argument was at least vaguely circular, the Permian was the last period of the Palaeozoic because its top was defined by a major mass extinction horizon, one that was big enough in fact to dwarf even the better-known K–T boundary. Many miles due south a line drawn from Holser’s current position would cross the coast betwen Venice and Trieste cross the norther Adriatic Sea then intersect the south-east-trending coastline of Italy, further on it would bisect the steepening mountainsides of Italy’s central spine until it arrived near a small town nestling in the Apennines: Gubbio; and just up the valley from there to the north-east the clay layer in the Bottaccione Gorge, the progenitor of their current enterprise. That was it, that was why they were here, to see if they could repeat the Alvarez team’s success. The sound of a big engine starting split the quiet. The truck that had brought the rig up from Bolzano was reversing into position, grinding backwards until it was perfectly positioned over the white markers painted on the grass, then with a hiss of hydraulics the stabilisers winched down on to the frozen ground, the deck of the truck tilting and settling until it was perfectly flat, the frame of the rig now stark against the sky and surrounding mountains. 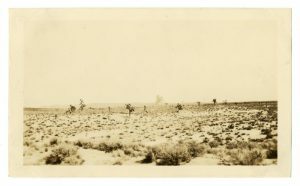 A concentric circle of scurrying activity as the scientific crew ran around, hauling cables between the rig-truck and the electronics van which housed the gear the geophysics guys would use to monitor the down-hole parameters – principally gamma ray resistivity – which would tell them the density of the rock they passed through, a shorthand signature of the different formations penetrated, until they reached the rock layer that was their target. A few miles to the west, in the direction of Tesero, were the local outcrops that had given their name to the formation that they sought far beneath their feet. The Tesero formation was the boundary bed, the thin division that separated the vast thickness of the Permian Belerophon formation from the overlying Triassic Werfen formation. The names of the narrower time divisions that these rocks represented were if anything even more exotic, the Dorashamian, the last period of the Permian, and the Scythian, the first period of the Triassic. 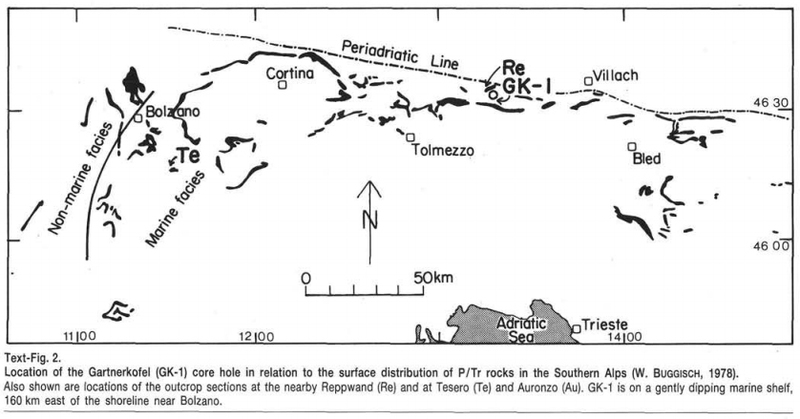 All over the Southern Alps parts of these formations were preserved but the overall thickness of the sedimentary sequence in this area – the very thing that made it valuable in fact – meant that all that could be seen were bits and pieces, small fragments of the total picture. And yet this succession in the southern Alps was the thickest and most continuous section of this age in all the world. Never mind the rumours that the newly discovered succession in South China was as good; even if that were true the palaeomagnetic reconstructions of the plate positions in the late Permian showed positively that the south China plate could not have collided with ancient Pangea at that time. Therefore its faunas could not be taken as representative. South China had been an island continent – a refuge that had finally collided with Pangea in the early Triassic – it had missed the main action. So, if they wanted to understand the extinction at the Permo–Triassic boundary then they needed an ‘edge’. A new angle on an old problem. And, after years of trying to organise financial and logistical support, they had made it. They were finally going to get the ‘edge’ they needed – they were going to drill right through the Triassic and into the Permian. Copyright Richard Corfield. 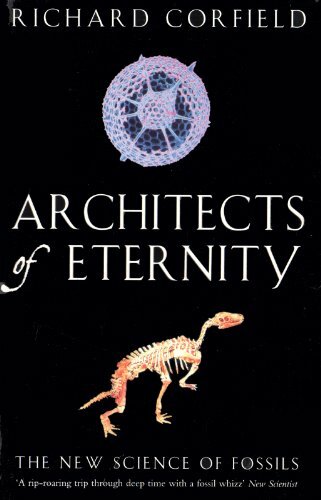 Taken from ARCHITECTS OF ETERNITY All Rights Reserved. About eighty miles north of Los Angeles, the small town of Rosamond slumbers on the edge of the Great American Desert. Here the air is thin and cold, and the smog behind you in the LA basin is an orange-tinted shroud between the high peaks of the Sierra Nevada and the breakers of the Pacific Ocean. Outside the town, to the north-east, the sand-blasted landscape stretches to a limitless horizon. The only things to break the monotony are the tormented silhouettes of the Joshua trees that stud the landscape like arthritic corals. Yet, believe it or not, there are lakes here – Rosamond Dry Lake and Rogers Dry Lake. The water in the lakes exists for only a few months of the year when the small amounts of rain that fall during the winter months are washed back and forth, back and forth, until the beds of these lakes become perfectly smooth and level. In the summer, the water evaporates and the furnace sun of the California desert bakes the mud until it is as hard and smooth as glass. Here, nature has created America’s greatest natural landing field. It is no surprise therefore that in the years following the end of the Second World War the US Army Air Force (later renamed the US Air Force) chose this place to test its new jet and rocket planes. There were thousands of square miles for error and – given the fickle nature of some of the beasts that were put through their paces here – that was just as well. In the beginning – before the USAF had been formed from the US Army Air Force – this airfield in the high desert had been named Muroc. 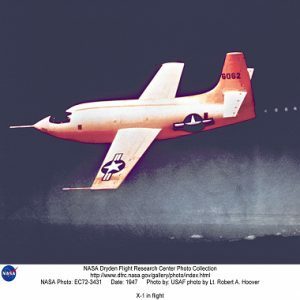 It first achieved fame at 1015 PDT on October 14 1947 when Charles E. “Chuck” Yeager became the first man to fly faster than the speed of sound – breaking the sound barrier in the Bell X-1 rocket plane. By pushing Newton’s laws of action and reaction to the limit, the flight made Yeager and Edwards Air Force Base (as it was eventually renamed) famous in the world of military aviation. 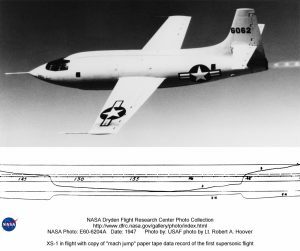 The tradition established by Yeager and the X-1 leads directly to the fabled X-series rocket planes – of which the hypersonic X-15 rocket plane (as seen in the opening credits of First Man) is the most notable example – and thence to the Space Shuttle. The X-15 set speed and altitude records in the early 1960s, reaching the edge of space and returning with data that was essential to the development of future high-speed vehicles, particularly those intended to fly back into the atmosphere, such as the Space Shuttle. Today the X-15 still holds the record for the fastest speed ever reached by a piloted rocket-powered airplane. In the early days of the Space Age, the Air Force and NASA had established a convention that the edge of space was at an altitude of 50 miles (80.47 km, 264,000 ft). 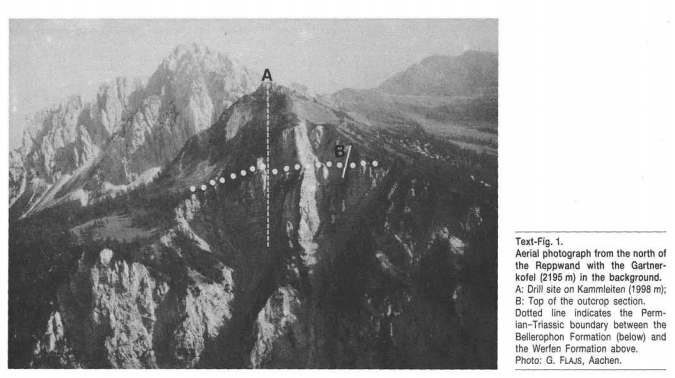 Pilots who flew above this altitude were eligible to wear astronaut wings. During the X-15 program, eight pilots reached this altitude, qualifying them for astronaut status. The lifting bodies were a breed of experimental aircraft that complemented, then succeeded, the X-15. They were to explore a third area of aerodynamic engineering which was very different to the existing winged variety of conventional aircraft (including the X-15) and the ballistic capsules of the Mercury, Gemini and Apollo spacecraft. 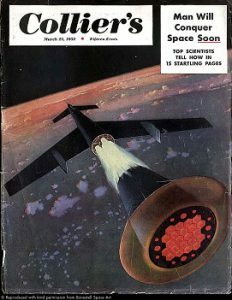 The latter programs were an attempt to catch up with the Soviets after the surprise launch in the fall of 1957 of Sputniks 1 and 2. 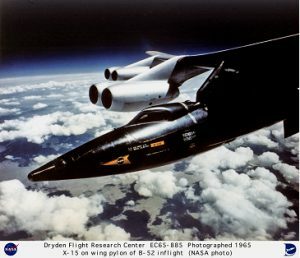 So worried were the Americans by what they perceived as a ‘missile gap’ that they decided to abandon the orderly progress by which the X-15 would lead to a winged space plane. Instead they decided to go with the so-called ‘Man-in-Space-Soonest’ concept. This would use a modified ballistic missile to launch a capsule containing a man (Mercury) and eventually men (Gemini and Apollo) into orbit and from there to the Moon. It was a ‘quick and dirty’ approach that would cut years of development off putting Americans into space. Ultimately this approach would pay off on 20 July 1969 when Neil Armstrong and Buzz Aldrin walked on the Moon. In the meantime, progress towards a lifting re-entry vehicle such as the Shuttle was not completely shelved, but there were still many engineering problems to be overcome. 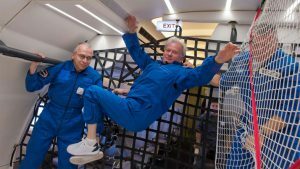 Chief among these was the fact that a reusable spacecraft with wings would experience severe heating and structural stresses particularly at launch, re-entry and landing. On the other hand the Shuttle would need wings to achieve a useful cross range during re-entry and for landing.. For the return to Earth the vehicle’s wings also would have to be designed to withstand the extreme dynamic and thermal stresses of hypersonic speeds. Chuck Yeager may have taken the X-1 to just beyond Mach 1 but the re-entry speed of the Shuttle would be close to Mach 25 (17,500 mph). Thus, despite the fact that Wernher von Braun’s original concept for a reusable spacecraft (which dated back to the 1950s) was explicitly a rocket with wings, it seemed that his solution on its own would not work. But by the 1960s it was realized that the challenge of lifting flight through the atmosphere might be met by with a hybrid approach combining wings with a lifting body fuselage. The Shuttle was, in fact, a more refined application of an older concept, dating to the work of Eugen Sanger and his wife, mathematician Irene Sanger-Bredt, who had first conceived the classic flat-bottom half-ogival body shape, coupled with wings, for their so-called “Silbervogel” space transportation system first proposed in the late 1930s. Where the Shuttle differed was in more careful blending of the wing and body, and use of a large delta wing as opposed to conventional straight wings with a conventional tail, as the Sangers had envisioned. NASA began flight-testing experimental lifting bodies at Edwards in the 1960s, following evolution of the concept earlier in the 1950s. A lifting body is a fuselage that generates lift at the expense of higher drag. It uses a modification of the “blunt body” principle developed by H. Julian Allen at NASA’s Ames Research Center. Allen had showed in the early 1950s that a blunt body produced a detached shock wave that carried away ninety percent of the heat of re-entry. A lifting body is a tailored blunt body shape that uses this principle to survive re-entry, but which also has a high degree of streamlining and shaping so that it can generate lift, and fly through the atmosphere, rather than plunging through it like a capsule. This hybrid approach optimises all phases of flight – subsonic, supersonic, and hypersonic, including spacecraft re-entry. All of these flight regimes are required for a true space plane. 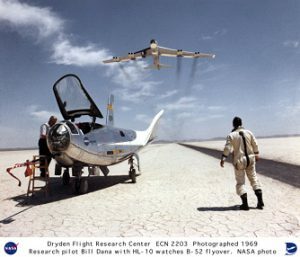 The lifting body research was conducted at NASA’s Dryden Flight Research Center based at Edwards. The engineer in charge was Dale Reed, whose first full-size model was the NASA M2-F1, an unpowered craft based on an Ames body shape but made of wood. Initial tests were performed by towing the M2-F1 along an Edwards dry lakebed behind a modified Pontiac Catalina. The M2-F1 was soon nicknamed the “Flying Bathtub”. In 1966, NASA began test flights with heavier rocket-powered lifting bodies which were air-launched from under the wing of a B-52. All used the XLR-11 rocket engine that Yeager had used on his epochal flight. The Northrop HL-10, and the Air Force -24A and X-24B were just some of the weird and wonderful designs that were tested. Most of the general public had never heard of these lifting body designs until watching the 1970s television show “The Six Million Dollar Man” in which real footage of the test pilot Bruce Petersen showed him crashing his Northrop M2-F2 after a combination of high pilot workload and stability and control problems caused it to ‘auger in’ (in flight test parlance) to the baked desert floor at Edwards. NASA formally adopted the Shuttle program in 1969 during the heady days of the Apollo program’s first success. Two NASA centers – Marshall (Huntsville) and Johnson Space Center (Houston) – oversaw the construction of the Space Shuttle which was built by Rockwell in California. Essentially the orbiter was comprised of four main subsystems; solid rocket boosters, external tank, main engines, and orbiter. Marshall, the technical home of Wehner von Braun, oversaw the construction of all but the orbiter, which was designed by Houston. It was envisaged that the main role of the Space Shuttle would be servicing a large civilian space station that would be funded at a later date, perhaps sometime in the 1980s. But in the late 1960s a military station – the Manned Orbiting Laboratory (MOL) – was already being designed by the Air Force. A team of fourteen military pilots were in training to fly the Shuttle to and from the MOL, one of whom was former Naval Aviator and Edwards Test Pilot School alumnus Bob Crippen. In 1967 Crippen and the other astronaut candidates for the post Apollo era had been given a stark choice – choose between the DOD or NASA. Since NASA’s future beyond Apollo was uncertain (the Space Shuttle would not be green-lit until 1972), Crippen made the decision to go to the DOD to work on the MOL program. But, in a date that is clearly engraved on his mind, he told me that the MOL project was canned on June 10 1969 – only a month before Armstrong and Aldrin would walk on the Moon. The cancellation of the MOL projects was a direct consequence of the costs of the MOL program and the inescapable fact that advances in technology were already showing that machines could soon perform many of the tasks that had been envisaged for the military personnel aboard MOL. In a bitter blow to Crippen., Deke Slayton, then Director of Flight Operations, told Crippen that now that the Apollo program was finished he did not have anything for him to fly – and Crippen knew that the Space Shuttle would not leave the launch pad until at least 1980. So there were many long years to fill. But Crippen put them to good use. As the years went by and the Space Shuttle meandered through its long development, Crippen worked on the projects that were spun out from Apollo – Skylab and Apollo-Soyuz. 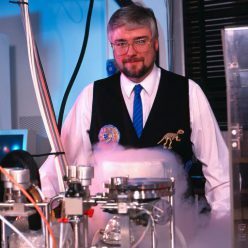 Crucially, he also worked on the vital heart of the Space Shuttle – its computer systems. By the time the Space Shuttle was almost ready to fly, John Young had taken over from Tom Stafford (Commander of the Apollo-Soyuz mission) as the Chief of the Astronaut Office and he and Crippen were working together. It was an association that was to develop into friendship. As Chief Astronaut it was likely that Young would be commander of the first mission. But Crippen was still bowled over one afternoon, while he was waiting with Director of Flight Operations George Abbey for the arrival of Enterprise (the version of the Shuttle that was used for landing tests) at Ellington Air Force base. Abbey said to him “Crip, how would you like to fly the first Shuttle?” As Bob Crippen told me, he was ready to turn handsprings at that point. Crippen was appointed Pilot on STS-1 – the inaugural Shuttle flight and the Commander – as he had correctly predicted – was John Young. It was almost time for the first launch of America’s first reusable spacecraft.